It's commonly thought that parents of children with disabilities are at higher risk for divorce. 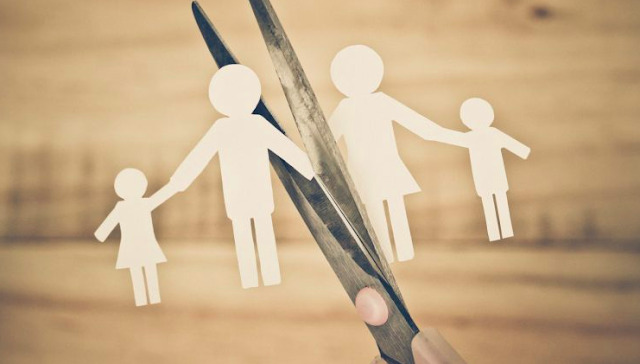 One study from 2015 found, however, that parents of kids with developmental disabilities were no more likely to split up than other moms and dads, especially as they had more children. But now there's a troubling new divorce reality: Some couples are considering breakups solely so their children with disability can get benefits. Expenses for caring for a child with disabilities can be high, yet if a family earns too much, they are ineligible for Medicaid benefits to help pay for care. It's a different story for a single parent, who would report far less earnings. An article in the Dallas News featured interviews with several couples in Texas. One set of parents, who have a daughter with cerebral palsy, had considered divorcing but decided against it for religious reasons. Another couple, married for nine years, had gone public with the news that they were considering divorce so their six-year-old with a genetic disorder would qualify for Medicaid. A third couple ditched Texas and moved to Arizona to get benefits for their son. It seems that, unofficially, caseworkers occasionally recommend divorce as a way to get benefits. The article notes that while it isn't legal to file for divorce under the pretense of a spousal conflict when what you really need is benefits, Texas has no record of prosecuting these cases. Meanwhile, Medicaid in Texas is stretched tight, with lists for equipment, home care and other services running as long as 93,000 names. I doubt this phenomenon is limited to Texas. While I don't know of parents of children with disabilities who've divorced for this reason, I do know of families who have moved to other states so they could get better benefits. What this points to is failure at the state and federal level to provide for the needs and sustenance of children with disabilities. The cuts to Medicaid in the proposed 2019 budget could make the situation even more dire. Adults with disabilities face additional challenges; three states—Kentucky, Indiana and Arkansas—now have waivers with work requirements for Medicaid recipients, which can pose a tremendous obstacle. To be sure, the stress of caring for a child with disabilities can strain a marriage. But the stress of dealing with a government that doesn't help—and not being able to give your child what they need and deserve—is even worse. While it's awful to think that couples would go to the length of legally divorcing to resolve their benefits situation, it points to a basic truth of being a parent of a child with disabilities: We try to do whatever is within our powers to help our children, and enable our families to exist. Want to contact your elected officials? Click here. I find this extremely common because a lot of the services are uncovered/denied by regular insurance. The insurance is the main problem here. While the law may say pre existing conditions cannot be grounds to deny coverage, the insurance industry gets around the law by requiring authorization first. I know a young boy who has MOPD2,which brain aneurysms and moyamoya are common and the insurance (in this case state Medicaid through Molina) refuses to allow MRI/MRA scans to monitor it. One rep told me that he won't get it unless he has a brain bleed or severe stroke.